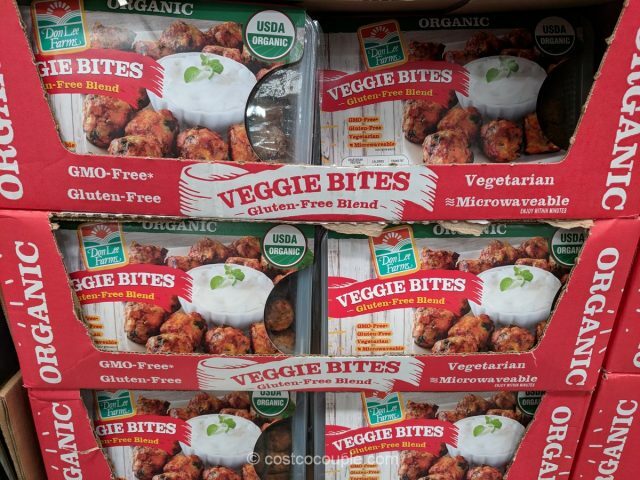 Spotted the Don Lee Organic Veggie Bites in Costco’s refrigerated section. 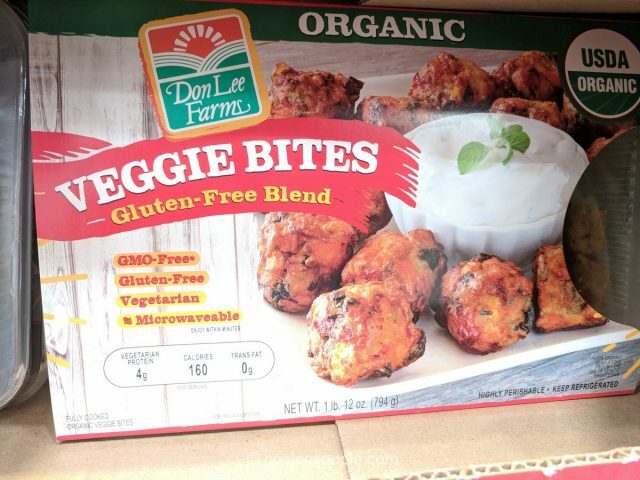 These look like tater tots and are vegetarian, gluten free, GMO free, and certified organic. 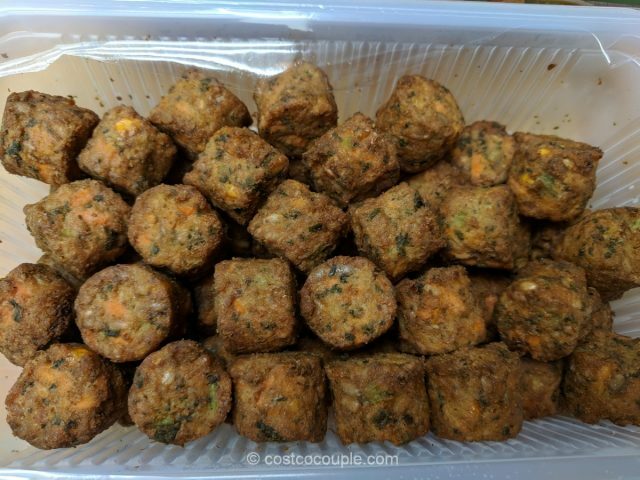 You can either heat them up in a microwave (45 seconds for 4 bites), skillet (around 2 minutes till hot), or in a conventional oven for about 6 to 8 minutes at 350 F.
Each serving is 6 pieces and there are about 9 servings in each box. 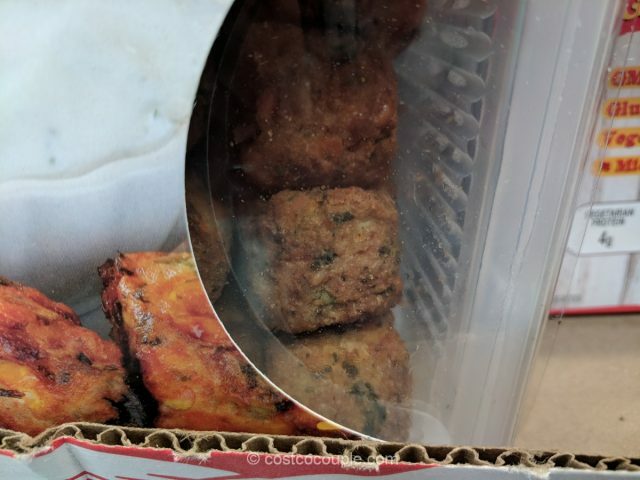 They have to be frozen or consumed within 3 days of opening. 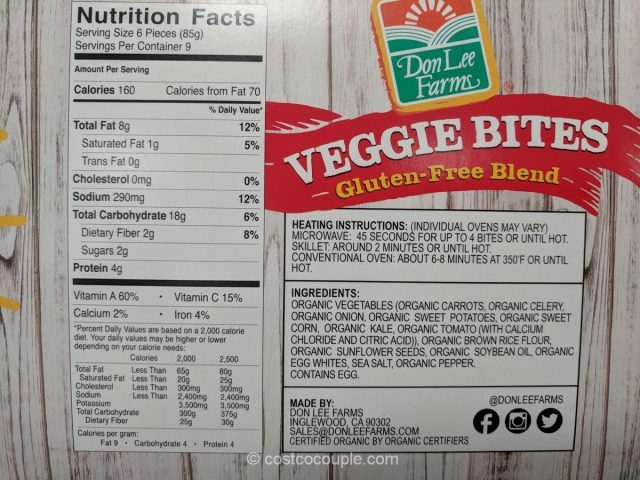 We wanted to try the Don Lee Farms Organic Superfood Burgers but since there’s currently a rebate for these veggie bites, we purchased this instead. 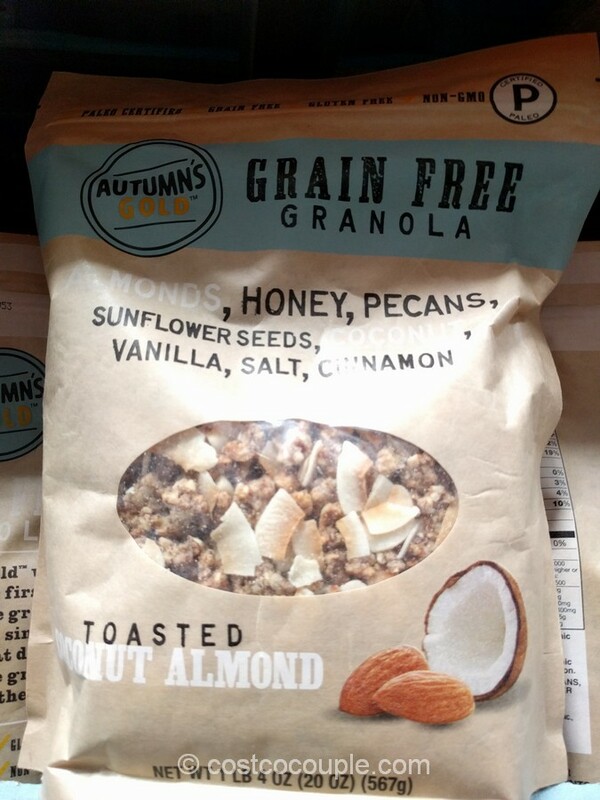 We tried it earlier tonight and they’re pretty good! 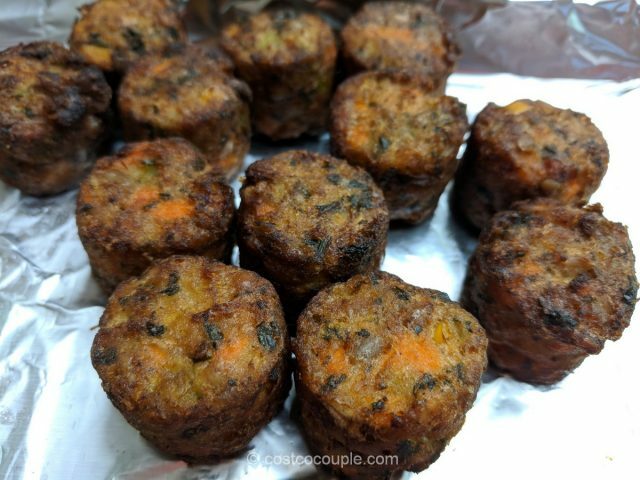 We heated them in the toaster oven for about 7 minutes at 350 F.
The veggie bites are not too salty or sweet, and the sunflower seeds give them a good crunch. 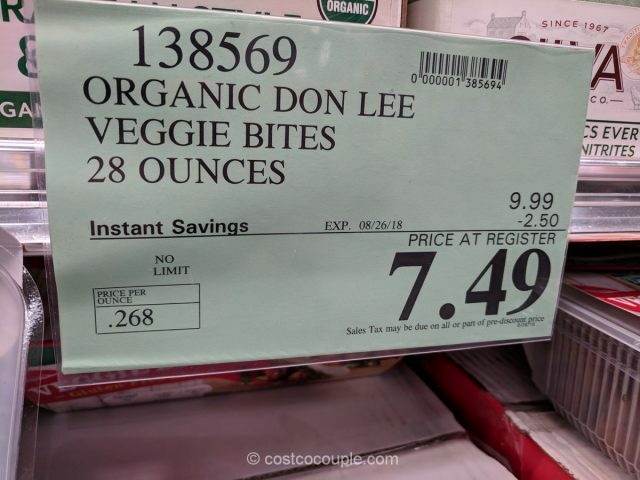 The Don Lee Organic Veggie Bites are normally priced at $9.99 for 28 oz. 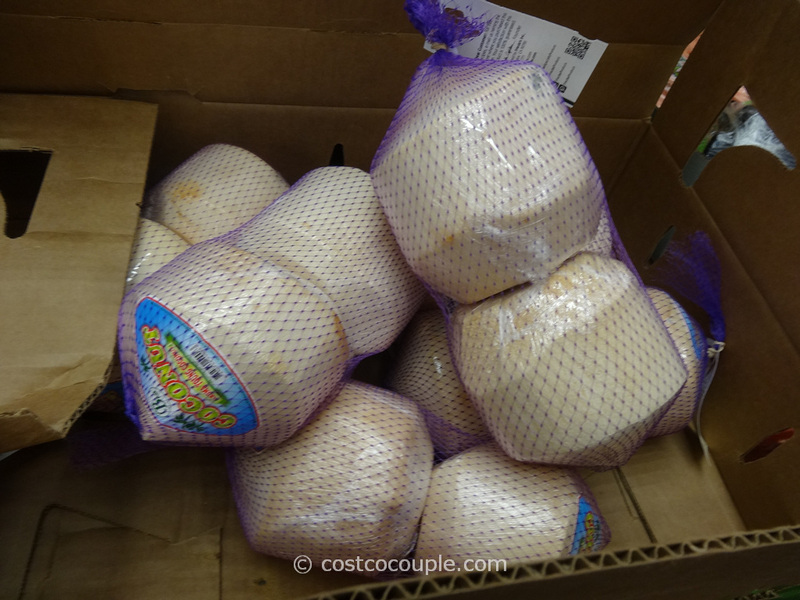 There’s currently a $2.50 instant rebate which reduces the price to $7.49. Discount is valid till 08/26/18. 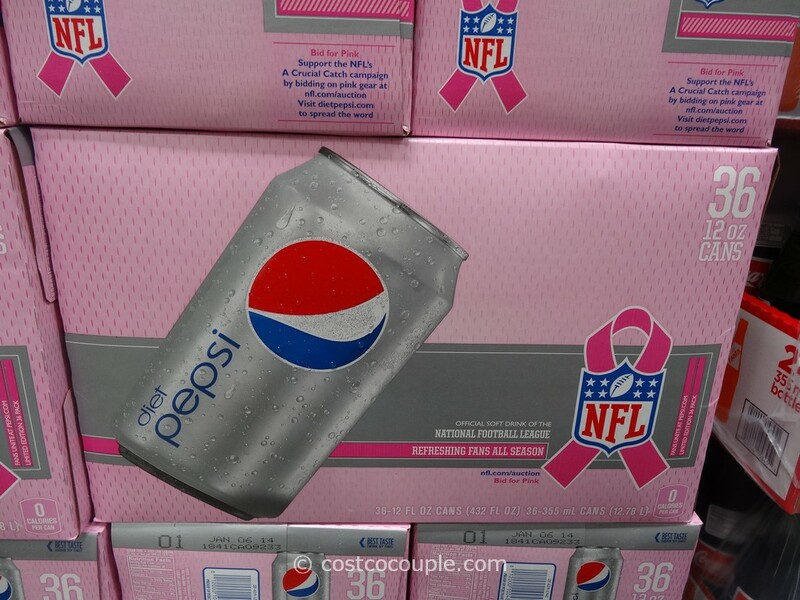 Unit price is 26.8 cents/oz.